People are dying. Why doesn’t anyone care? 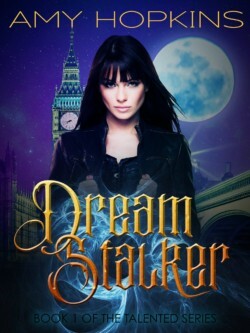 All Emma wanted was to sell her enchanted teas in peace; instead, she’s caught up in the chase for a killer who’s stalking the streets of London. He’s targeting half-bloods, people with limited magical ability. People just like Emma. The police are baffled by the long string of deaths, but they’re not willing to put in the legwork to make an arrest. After all, magic users can take care of themselves, right? Except, those with real power don’t give a damn about half-bloods. So, when Emma wakes from a strange dream that nearly gets her killed in the waking world, she knows she has to deal with it herself. With only her boggart shop-assistant and the two strange men who have offered to help, can she thwart the killer and make the city safe again?